Some of the many documents released by a watchdog group that investigates and exposes corruption and criminal activity by government officials and agencies provides evidence that then-Secretary of State Hillary Clinton and other senior officials, as well as President Barack Obama, deceived the American people regarding the Sept. 11, 2012, Benghazi U.S. consulate massacre. The pages released show that top administration officials were handed intelligence reports within hours of the attack that stated the Islamic terrorists’ actions had been planned up to 10 days before the attack and the goal was simply to to assassinate as many Americans as possible. The documents also confirms the suspicions that U.S. government officials were well aware of weapons being shipped from Benghazi to Syria for use by rebel forces against the Al-Assad regime, according to Judicial Watch. In addition, the document-release contains an August 2012 analysis of intelligence that predicted the meteoric rise of al-Qaida in Iraq terrorists who morphed into the Islamic State of Iraq and Syria. It also the predicted failure of Obama’s foreign policy aimed at regime change in Syria. Judicial Watch, a group that has been successful in breaching the government’s “stonewalls,” obtained the documents after U.S. District Court Judge Katanji Brown Jackson ordered their release after the watchdog group’sFreedom of Information Act (FOIA) request to the Department of Defense had been denied. Judicial Watch was then forced to file a lawsuit for the requested documents and related material. So why aren’t these people in prison? Another outstanding report, Jim. Many thanks for great work on behalf of our beloved America. Benghazi is just the tip of the iceberg. Hillary has ties to dictators who expect her to look the other way if she becomes president. These include Dubai, Saudi Arabia, State of Kuwait, State of Qatar, Nigeria, and Uganda all of whom have contributed to the Clinton foundation. Her accomplishments include the ability to screw up anything and lie about everything. Her morals are based on polling data. She is connected to four decades of scandals and deceit. She combines incompetence with arrogance. Her favorite charity is herself. She believes businesses do not create jobs. And yet she is the “best” the DNC can produce. She is not only the best the DNC has to offer, she is representative of who they are. 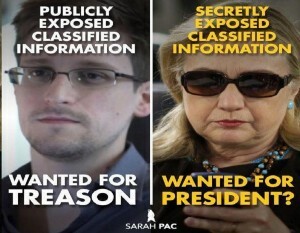 America today has the least transparent and most corrupt Government on Earth. The decent conservative Middle class has been wiped out to be replaced by a majority in the voter pool are criminals, drug dealers and corrupt. Today the electorate in nothing but a cesspool of immoral and unprincipled lowlifes who have much in common and admire their leaders in the Democrat party and hope to share a small part of the loot taken from honest and hardworking Americans. Okay…what’s next? 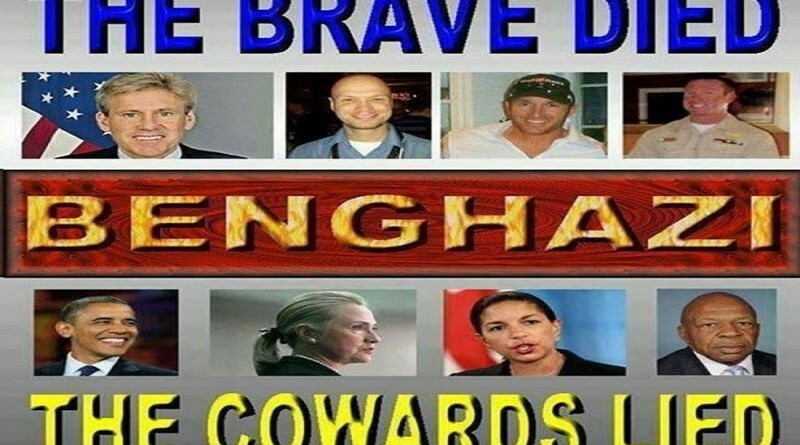 For three years now, dribble by dribble it’s come out, and been proven that illegal and wrong doing has been going on, by the Barry administration and Hillary State dept., in reference to Benghazi and the murder of four Americans. I don’t care what party you are affiliated with, this such enrage all Americans! If I weren’t so dammed angry I would be saddened by the apathy of the sheeple of the USA. I’ve always wondered how they hid the gun-running from certain members of Congress? Shouldn’t John Boehner and Mitch McConnell have been included in some of the facts involved in the gun-running? Could they be involved in the cover-up? Please someone say yes, and expose them if true so we can get rid of McConnell.